MINISTER of Information and Broadcasting Services Chishimba Kambwili has advised journalists against abusing social media but to instead use it to bridge gender imbalances in society. The minister said the media has a crucial role to play in society through responsible use of current advances in communication technology such as Facebook, Twitter and others. Mr Kambwili, who is chief government spokesperson, said this in a statement issued yesterday when he launched the commemorative activities of the 2015 World Press Freedom Day, which falls on May 3. Activities will be held next Monday. Mr Kambwili said media practitioners must use social media to fight social ills such as gender-based violence, defilement and other related activities. “Instead of using the social media to insult, defame and malign others, as has become common on some social media platforms, media practitioners in the country are called upon to use the social media to fight social ills such as GBV, child defilement and other gender-related vices,” Mr Kambwili said. He said Government is committed to promoting the growth of an independent, free and professional media that will contribute meaningfully to the gender agenda for sustainable social and economic development. “We have de-controlled and de-politicised the media, as promised in our party manifesto. 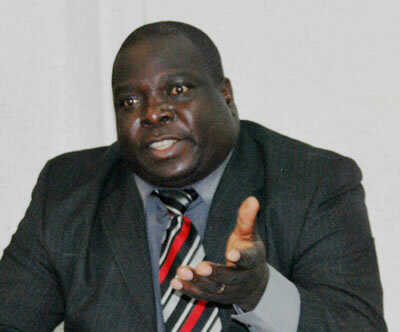 Journalists, in the public and private sector, print and electronic, are now free to set their own agenda to inform, educate and entertain the public,” Mr Kambwili said. He said Government believes in plurality of voices as a key attribute to the country’s democracy. “It is our conviction that the more diverse our media becomes, the more we shall broaden the marketplace of ideas. It means people will have a wide array of information to choose from and to make informed decisions,” Mr Kambwili said. He said in order to bring information closer to the people, Government has embarked on the construction of provincial broadcasting stations in all the 10 provinces of the country, beginning with Southern and North-Western provinces. He also said a contractor is on the ground installing equipment for Zambia’s digital migration as prescribed by the International Telecommunication Union, which has set June 17, 2015 for countries world-over to migrate from analogue to digital television broadcasting. Mr Kambwili said the process towards the enactment of the access to information bill has reached an advanced stage. He said the bill is set to be tabled in Parliament before the end of the year. “Government has also accelerated the formulation of the national information and media policy to guide the growth of a free and professional media that would contribute meaningfully to national development. “These and other measures represent Government’s desire and determination to enhance the free flow and public access to information, a pre-requisite for our thriving democracy,” he said. Mr Kambwili said a number of activities have been lined in order to commemorate World Press Freedom Day.